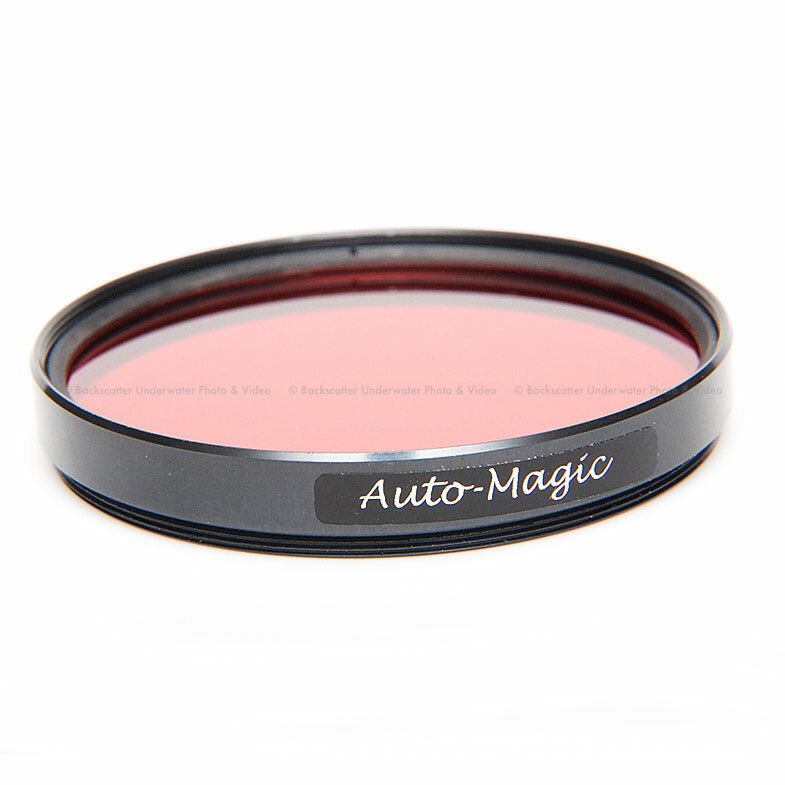 The Auto-Magic filter was designed for digital compact cameras, but works equally well on video and all digital cameras. The external mounting filter is available in many standard sizes and in multiple mounts (screw on, slot in, flip, push on). However, with so many compact cameras on the market we cannot hope to supply them all. There are details of the sizes we supply on the buy page, but if there is not a solution for your camera - the internal mounting Auto-Magic will fit on almost every camera. The Auto-Magic filter was designed for digital compact cameras, but works equally well on video and all digital cameras. The external mounting filter is available in many standard sizes and in multiple mounts (screw on, slot in, flip, push on). However, with so many compact cameras on the market we cannot hope to supply them all. The Auto-Magic filter can work in two ways. You can either use it with the with the cameras default automatic white balance and exposure, giving you vibrantly colored images with point and shoot simplicity. Or you can use it with manual (custom) white balance giving you much more control and the ability to shoot images over a wider depth range. Most users start using the filter in fully auto mode and then switch over to using it with manual white balance. All five images below were taken with the Auto-Magic filter: two were taken with Auto white balance and three with manual white balance. The fact that this filter is designed to work without manual white balance makes it highly suited for use with cameras without this feature. For example, we recommend the internal mounting Auto-Magic as an underwater filter for the GoPro HDV video (note that the GoPro needs a specialist housing to focus underwater). Another advantage of switching off your flash and shooting stills with a Magic Filter is that it will make your battery last longer and will also reduce the likelihood of your housing steaming up (which is caused by the heat produced by the flash firing). The circular screw on Auto-Magic filters have a thread on the outside, which can allow certain accessory lenses to be attached. We cannot test all accessories available, so we must say that you add accessory lenses at your own risk. The external mounting Auto-Magic filter does not just have to be used on compacts. Digital SLR users may prefer the hard wearing 3mm thick filter for use on their lenses inside the housing (note that original Magic and Green Water Magic are only available as gels). The Auto-Magic filter works particularly well with wide angle accessory lenses, for scenic and diver photography. The filter is designed for relatively shallow diving in sunny tropical conditions. On Auto white balance it works best between 3m and 10-12m (9-35/40ft) depending on the camera. I tend to shoot the camera on manual white balance, and I find I can shoot it down to 18m with my Fuji compact. Deeper than this depth the colors in the images begin to slowly fade back to a natural blue look. It is less suited to fast moving fish, which may blur. Most of the time the filter will give you pleasing images straight from the camera, and if it doesnt you can usually sort them out by using automated functions such as auto-color in Photoshop or Enhance in iPhoto. Filter photography isnt perfect for every dive, obviously it doesnt work at night! We usually recommend that you do one filter dive and then one dive in flash to build a collection of photos that each technique can give you. Have a look at the tips section of this website for advice on how to shoot with filters.